Teeth veneers are one of the most popular and beautiful ways to improve your smile. They create an entirely new “face” for your teeth while also strengthening them. The effect of a well-done veneer is subtle, yet immediate: People who’ve known you for years will stare at you and ask, “What’s different about you? You look fantastic!” Whether you want to tell them the secret is up to you. You have choices with your dental veneers. 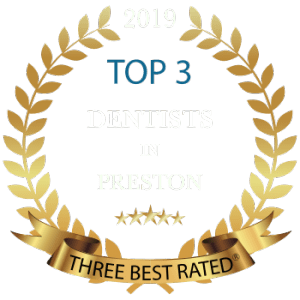 Preston porcelain veneers dentist, Dr.Haide Kaviani, and her team at Lane Ends Dental Practice will work with you to help determine which type is best for you. These thin, sculpted layers are applied to the front of the teeth. Porcelain veneers can dramatically improve the position, size, colour and shape of your teeth while maintaining a natural sheen and translucency. Porcelain is also harder than tooth enamel, so it resists wear and staining. In fact, veneers do not discolour with age like natural teeth. All our private veneers are custom-fabricated and can provide permanent aesthetic results in just two appointments. Dr. Kaviani is an expert in the placement, design and coloration of veneers, so she can create results that look just like your natural teeth, only better. Initial Consultation, Diagnosis, and Treatment Planning: This is where Dr. Barron will consult with you to manage your expectations and examine your teeth thoroughly. If you are a good candidate for veneers, Dr. Kaviani will discuss the procedure and what it involves. At this time, he may also take X-rays and make an impression of your mouth and teeth. Preparation: Dr. Kaviani will prepare your tooth for the new veneer. During the preparation stage, the doctor will remove some of the enamel from your tooth, about ½ a millimeter, so as to allow the veneer to be added seamlessly to the tooth’s surface. Many of our patients prefer dental veneers because they are stain resistant and provide a natural, much whiter tooth appearance.